５月６日でロングラン公演終了！ May 6th is the last day!! 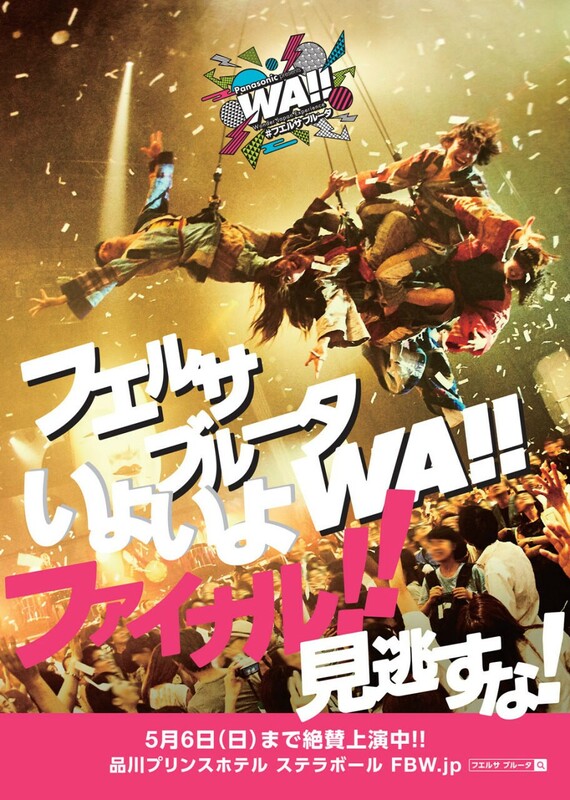 May 6th is the last day for our show “Panasonic presents WA!! –Wonder Japan Experience-Fuerza Bruta”. Tickets from March 2nd to May 6th will be available from January 25th. Our show started from August 1st, 2017 and we have done 244 show on January 23rd. A lot of people experienced our performance. The creator from Argentina -the opposite side of the earth from Japan- got inspired by Japan with fantasy. It took more than 10 years to create this whole show. We can find bunch of pictures and videos on SNS with the tag of “FuerzaBruta. With the media of other country and the location of our theatre – Shinagawa Prince Hotel- helped us to do such an long term, but we will close this show on May 5th, 2018. This is the last chance to experience. Don’t miss this opportunity to enjoy the show!! !